The all-new Kia Niro will make its European debut at the 2016 Geneva International Motor Show (86 Salon International de l’Automobile) on 1 March. 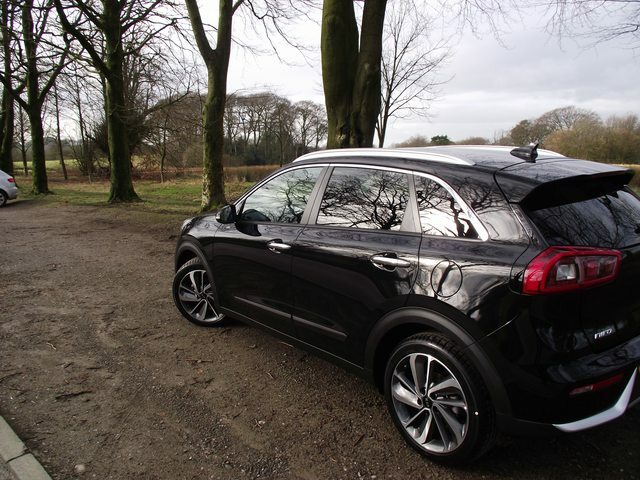 An all-new low-emissions hybrid crossover, the Niro marks the development of Kia’s first dedicated eco-car platform. Kia's shown some interesting designs recently. Now its time for some ingenious powertrains. Oh my I LOVE THAT COLOR! I am seriously in love with it. I never seen a teal that shade. It reminds me of the old school teal I used to see on mini vans growing up but with a nice blinged out flair. What is this color called by Kia? Jad3d wrote: Oh my I LOVE THAT COLOR! I am seriously in love with it. I never seen a teal that shade. It reminds me of the old school teal I used to see on mini vans growing up but with a nice blinged out flair. What is this color called by Kia? It does look good, I hope it looks similar in real life. What the name of that color of that car in the OP, Rob? I really like it! Or was that just photoshoped? I wasnt a fan of the blue one , and ordered the more expensive white of the two whites (think its pearlescant) But the blue has really grown on me after i seen one in the flesh.